It’s just a pity they hadn’t arrived at this destination a year ago when the Burk’s Falls & District Health Centre faced closure. A week before the Ontario Hospital Association’s annual conference, other hospitals would certainly would be watching this situation very closely. Technically the LHIN could withhold all public funding to the MAHC until it signs its accountability agreement, but that would result in a game of chicken nobody would likely want to play. While the government is promising a funding formula, for now the funding they receive is totally on an ad hoc basis. It has been clear for some time that MAHC, like many other Ontario hospitals, has not had the money it needs to serve the local population. The hospital has approached the LHIN to make up its shortfall, but as MAHC CEO Barry Monaghan would know first-hand, the LHIN does not have that kind of discretionary spending available to it. Monaghan used to serve as CEO of the Toronto Central LHIN. In the all too familiar two-step, the LHIN must approach the Ministry of Health to make up the funding shortfall. When the media start asking questions, however, the Ministry refers them back to the LHIN. 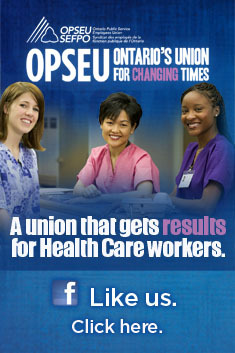 Clearly the Ministry is ducking and weaving and using its LHIN as a scapegoat. However, the community is getting more familiar with the game and knows who makes the real decision. In this year’s provincial budget there is a substantial gap between what hospitals are supposed to get and what they are receiving for core funding. One can’t help but think the unreleased details of the health budget contain funding to address hospitals that have nowhere left to cut. With less than a year before a provincial election, it will have to be substantial. As part of funding needed to address MAHC, the province should consider putting back the Burk’s Falls facility. If they don’t, as the pattern has previously shown, the Tories will. Get rid of the LHINs, they are just another level of government bureaucracy, full of high-paid managers and suits!